This melodious piece will make you an expert in D minor scales and arpeggios! 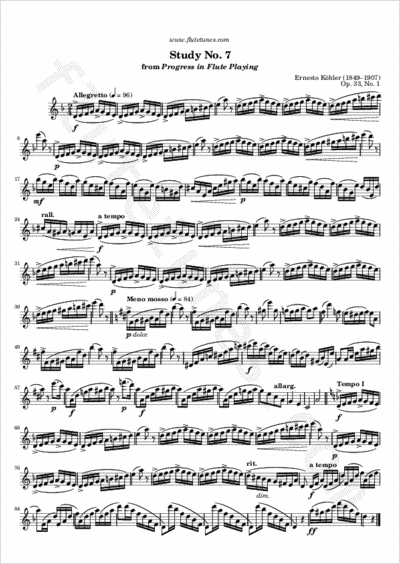 It is taken from the first book of Progress in Flute Playing, published in the 1880s by Italian composer Ernesto Köhler. The étude No. 7 can be roughly divided into three parts: the exposition of the main theme, a more relaxed central section in D major, and a final restatement of the initial theme.